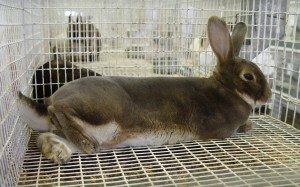 How big should my rabbit cage be? If you’re limited on space here are some general size guidelines for cage square footage (you can calculate square footage using online calculators or by multiplying the length of the cage – in feet – by the depth of the cage – in feet, EX; a 1 foot by 2 foot cage is equal to 2 square feet, 1×2=2). The minimum height for your cage (how tall it is from floor to ceiling) should be 14 inches. If you have a large rabbit (over ten pounds) then its nice to give them a little extra head room and make thier cage 16-18 inches tall. Remember that bigger is always better for your rabbit cage, especially on the days you don’t have time to let your rabbit out to exercise. They’ll appricaite having the extra space! Follow the above guidelines to make sure you rabbit habitat is the perfect size for your furry friends. If you’re looking to add feed containers, water bottles and other necessary things for your rabbits cage then also read our page on our Favorite Rabbit Things for great ideas and tips! 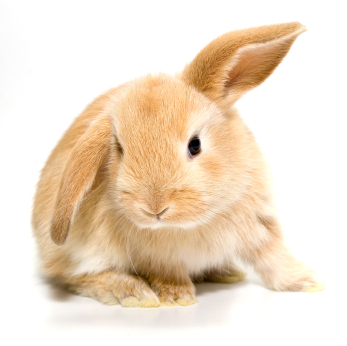 Did you know that rabbit cages are also called a rabbit hutch? 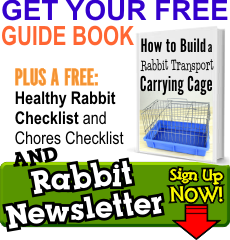 Take a look at my favorite rabbit hutches and cages on our Stuff We Recommend page.